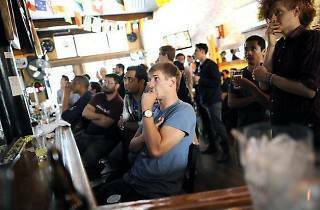 Lower Haight is dotted with unpretentious sports bars, but one that stands above the rest is Mad Dog in the Fog. 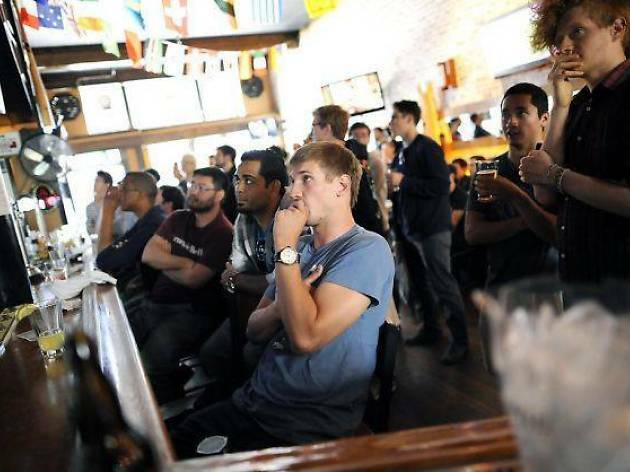 Quite possibly the best place to watch European soccer and rugby, Mad Dog is known for drawing anglophile and expat crowds at 5am on a weekday—if it’s a Manchester United versus Liverpool game. It's a good spot for large groups, as there are several big booths, including one that has its own self-serve beer tap. The bar is stocked with an evolving selection of over 150 different beers from across the world, while the food is straightforward with dishes like classic buffalo wings, bangers and mash and our personal favorite: hearty nachos layered with jack cheddar cheese, black beans, jalapeños, sour cream and fresh salsa. And for those early morning matches? Ask for an English breakfast.